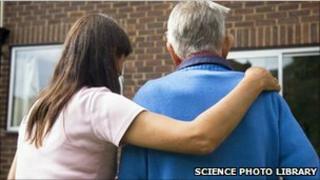 Leeds City Council is holding a series of consultations about proposed changes to adult social care services. The authority said major "financial challenges" and the increasing demand it was facing on services meant changes had to be made. Councillor Lucinda Yeadon said this would only be done in full consultation with the public. She said: "It's not an option for us to continue to do things the same way as they have always been done." People are being asked specifically about changes proposed to residential care homes and day centres for older people and changes to the charges for services people receive to support them to live at home. Ms Yeadon, executive board member with responsibility for adult health and social care, said: "I know it can be very difficult and upsetting for vulnerable people when their carers or services are changed, so we will manage the changes very carefully." The consultation events are; 1 March, Kirkgate market; 4 March, Otley market; 29 March, Pudsey market and 7 April, Wetherby market.